beautiful bay views and charming waterfront properties. 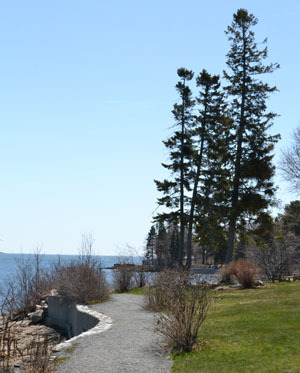 You can follow the Shore Path to Wayman Lane and wind your way back along Main Street to see shops, restaurants and the Bar Harbor Grand Hotel. Or you can continue south through town to join the Great Meadow Loop trail within Acadia National Park. 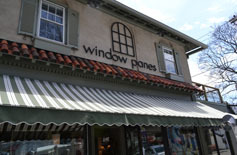 Shops with home decor and hand crafted items include Window Panes, In the Woods (reopens in May), Sagegrass Gallery, and Fair Trade Winds. You can guess what Bark Harbor has! 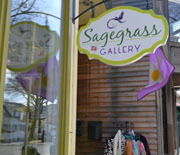 Sagegrass Gallery has many crafts, artworks, jewelry and accessories created in Maine. Sherman's Books & Stationery has books about Acadia, lobstering, sailing, boatbuilding, and Maine history, as well as children's books, souvenirs and postcards. Acadia Outdoors can outfit you with gear, clothing and footwear for hiking and outdoor pursuits. 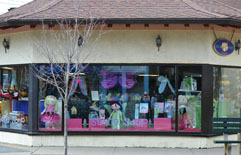 Cool as a Moose sells gifts, apparel and accessories for men, women and children. 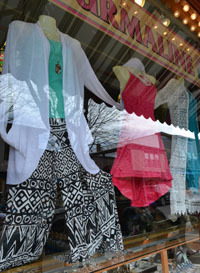 Jekyll & Hyde Shop has women's apparel, accessories and Maine tourmaline jewelry. Handcrafted items such as wooden bowls, ducks, birds, jewelry boxes and bird houses can be found at In the Woods (open seasonally in May). Cottage, Mt. Desert and West streets, as well as other little side streets off of Main St. have more shops to explore. Many shops close for the winter and not all have reopened yet in April but many do open especially if the weather is good. The Route 66 Diner has a great collection of memorabilia to look at while you enjoy burgers and lobster rolls. Ben and Bill's Chocolate Emporium has ice cream, fudge and candy. 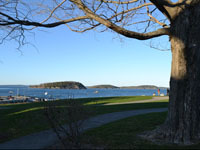 The Reading Room Restaurant and the Terrace Grille at the Bar Harbor Inn provide harbor views with your meal. 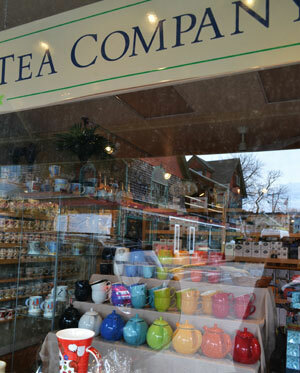 Geddy's is a casual lively seafood restaurant on Main Street with its own basement gift shop. Gaylin's serves seafood, steak, vegetarian and gluten-free dining next door to Geddy's. Acadia National Park located mostly on Mt. Desert Island is the first "Eastern" National Park, i.e. the first park located east of the Mississippi River. This stunning national park was safeguarded in the 1900's by President Woodrow Wilson and foresighted philanthropists for us to enjoy today. Although not all parts of the park are operational in early spring, it is less crowded. Sunrise and sunset atop Cadillac Mountain are popular activities. Star gazing from this amazing vantage point is another attraction. There is so much to explore in Acadia National Park. It's easily a several day or week long trip to sample what the park has to offer. 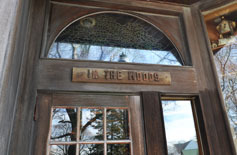 The Park Loop Road lets you drive through the park stopping along the way at overlooks, a beach, the Jordan Tea House (opens mid-May), horse & carriage ride stables, hiking paths, gardens, and the Abbe Museum and nature center at Sieur de Monts Spring. (See the NPS website for current conditions: the Sieur de Monts Nature Center is closed due to flooding, and the tea lawn at Jordan Pond House is unavailable. 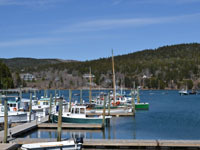 Also, route 3 into Bar Harbor is under construction starting in April but detours are set up for outbound drivers.) After visiting the ranger staffed Information Center, get your map, drive the road in your car and look out at amazing vistas and diverse woodlands and plant life. Online visitor passes are now available for printing and placing on your dashboard. During the summer season, you can even ride by horse and carriage on the stone roads and bridges specifically designed and built in the early 1900's for transport within the park. 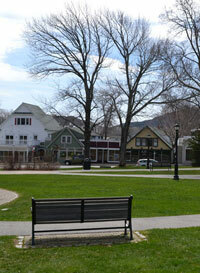 Downtown Bar Harbor is also a place for taking a self-guided historic walking tour starting at the Village Green. Signs around town provide information about preserved buildings from the 1800's, such as The Turretts at the College of the Atlantic, Jesup Memorial Library, St. Savior's Episcopal Church and the Bar Harbor Historical Society Museum. On Cottage St., you'll find the art deco style 1932 Criterion Theater where live performances and movies are shown in this historic venue. On nearby Kennebec Place close to the Village Green there is Reel Cinema, a movie theater also serving snacks and a variety of pizzas in a laid back atmosphere. Whale watching tours leave from the town pier area. You can also take boat trips to view seals, lobsters, seabirds, and Baker Island and Lighthouse. For a narrated tour, Oli's Trolley operates from late April to late October. 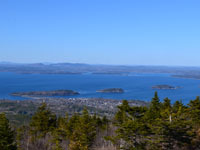 This can be a convenient way to visit Acadia National Park and Bar Harbor. For those unafraid of venturing out to Bar Island at low tide, there is a sandbar that leads out to the island but be sure to check when the high tide returns so you are not stranded when the sand bar is covered with water again. It's no surpise Mainers are inspired by their gorgeous landscapes to create beautiful artwork and crafts. Acadia books, souvenirs and gifts can also be found in many of the shops downtown as well as the gift shop at the Acadia Park ranger station. 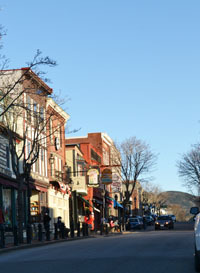 Shopping and scenery combine in Bar Harbor in an awesome and inspiring way. 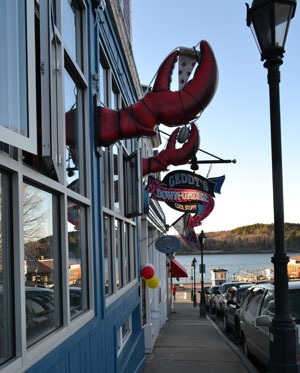 Bar Harbor's unique shops offer a variety of treasures to help you remember the natural beauty of Acadia, a national treasure in New England that feels like a world away.